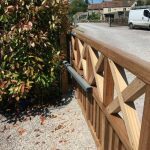 We have been supplying, installing and repairing automated gate system since 1996, based in Bristol, England, we can supply off the shelf or purpose made swing and sliding gates. These can be automated to open via a door entry system, car remote, wall-mounted keypad or any other system or device of your choice. 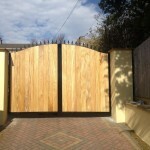 We provide our clients with access to the very best automated gate systems on the market and we install them with an unparalleled attention to detail. With 20 years of experience serving Bristol and the surrounding areas, the professionals at C.A.P. 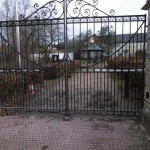 Security have what it takes to supply and install automated gates that are both highly secure and appealing to the eye. Call us today for a fair and reasonable estimate on a new automated gate and see the difference decades of experience really makes! When C.A.P. Security is called out to repair an automated gate, we make sure that it will continue to operate properly long after we’ve gone. 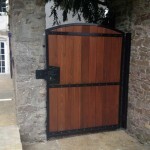 Each repair service is accompanied by a health and safety risk assessment, along with good advice on how to enhance the security and safety of your gate. Your safety and security is our number one priority, which is why we offer health and safety risk assessments of all types of gates, including gate force testing. 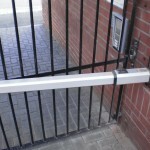 Our team works to strict gate safety standards, including the European Machinery Directive 2006/42/EC and BSI EN 12453, to ensure you have a safe and secure home or business. If you’re in Bristol or any of the surrounding areas, let C.A.P. Security perform a health and safety check on your gate and provide sound suggestions on the best ways to make it safer than ever. 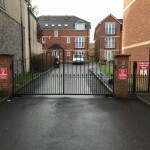 We supply, install, repair and service residential automated gate systems in Bristol and within the surrounding areas like Swindon, Somerset, Gloucester, Cheltenham, Wiltshire, Cirencester, Stroud, Tewkesbury and other surrounding areas, so if you’re local then why not give us a call on 01179 657692 and we can discuss your best option?